I'm currently 19 years old. I've only recently decided to research this condition of sleep paralysis. Though everyone's stories is similar to mine when it comes to feeling as if someone is holding you down, the hallucinations, and even hearing odd noises... But I feel my story is a little different and hope to find that there is someone out there whose story is even closer to mine. My first date with SP arrived when I was in sixth grade, barely past being a decade old. I remember lying in bed and not yet being asleep but dozing in and out, and suddenly my body became numb and felt heavy. I also started to hear noises which I can only explain as a speeding gust of wind passing by my face. I noticed I could only move my eyes. I searched the areas of my room I could see just to find a figure in my door. The only way I could try to describe this figure is a hag with bright eyes but other facial features I was not able to distinguish and she began to walk towards me. Trying to scream felt like trying push a skyscraper over, though the breath was there to use I could only push out weak grunts. This was around the time I decided it was time to run so I began to try to fight focusing on my hand and trying to move it. Finally I broke through the paralysis to realize that the hag was gone. This episode scared me enough for me to crawl into my mother's bed. I've tried to tell people but I always received a crazy blank face in return. Since the first time the paralysis had never let up. I still get episodes at least 7 or 8 times a month. My sister finally believed me when she watched me in this state before and listened to my grunts and my hyperventilations, though I could hear her talking to me and I knew she was touching my skin in attempt to wake me up I still had to force my own way out. The hideous hag is still the star in every paralysis but I soon learned I don't see her if I keep my eyes closed. Many others have seen me in this state before. My mother soon believed something wasn't right when it started to effect my day life when I was too tired to wake up from fighting the paralysis the previous night and sent me to a sleep doctor. I was diagnosed with a moderate case of narcolepsy when I was a junior in high school but told that the paralysis was a phenomenon and no cure. I believe the difference in my story is my paralysis only occurs when I'm trying to fall asleep and never when I'm waking up and occurs repeatedly upon trying to fall asleep again. Also it doesn't matter about my sleeping positions. I've experienced SP while laying on my back, stomach, sides, and even sitting up against my bed post. I've learned to cope with my paralysis after being explained by my doctor that it was a chemical in my brain that is released too early, or for others lingers for too long, that keeps you from flailing in your sleep. I found ways to mentally soothe myself by keeping my eyes closed and just telling myself that I will be asleep soon. My last SP episode was about two nights ago. I've been experiencing this for almost a decade now so I would love to swap stories with anyone with similar experiences. Thanks for sharing your story. You're right, for individuals with at least some bit of narcolepsy it is characteristic for the sleep paralysis episodes to happen at the start of sleep. 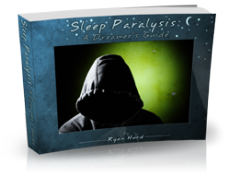 While for most others sleep paralysis occurs when waking up from sleep. The paralysis mechanism that "keeps you from flailing in your sleep" is known as REM atonia. 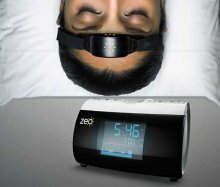 It basically prevents your body from acting out your dreams, as your brain still sends signals to your muscles to do whatever it is your mind is having your body do in the dream. People with too little REM atonia experience a condition called REM Sleep Behavior Disorder (RBD) where they act out part of their dreams, while people with too much experience sleep paralysis or narcolepsy where they experience the paralysis when they should be awake. You can read more about the mechanism of how sleep paralysis works here. I hope you find many others on here to share stories with. Best wishes.